This exquisite map of the 1960s West End is one of the most interesting ways I’ve seen of making tangible that fascinating era that remains tantalisingly out of reach and hard to comprehend. Produced by Herb Lester Associates, Wish You Were There is a fascinating physical attempt to bridge the gap in time, to fill in some of the blanks. 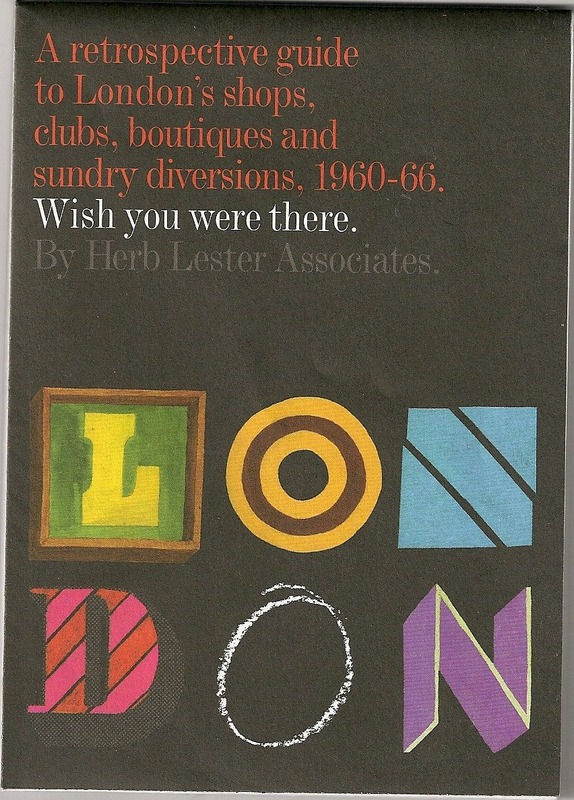 It is also a beautiful artefact, a fold-up map that offers a ‘retrospective guide to London’s shops, clubs, boutiques and sundry diversions, 1960-66’. 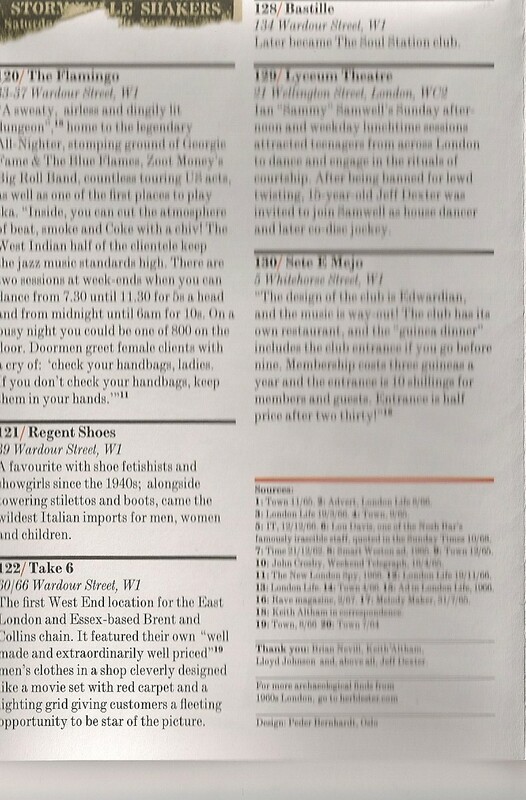 Included are such diverse pleasures as Better Books, home of the Beats, the offices of promoter Don Arden and restaurants like Cranks and The Nosh Bar alongside better known clothes shops, bars and venues. On one side is a map of central London, and on the other a written guide to the 130 locations, padded out with period advertisements. Wish You Were There can be purchased here for a bargain £4. 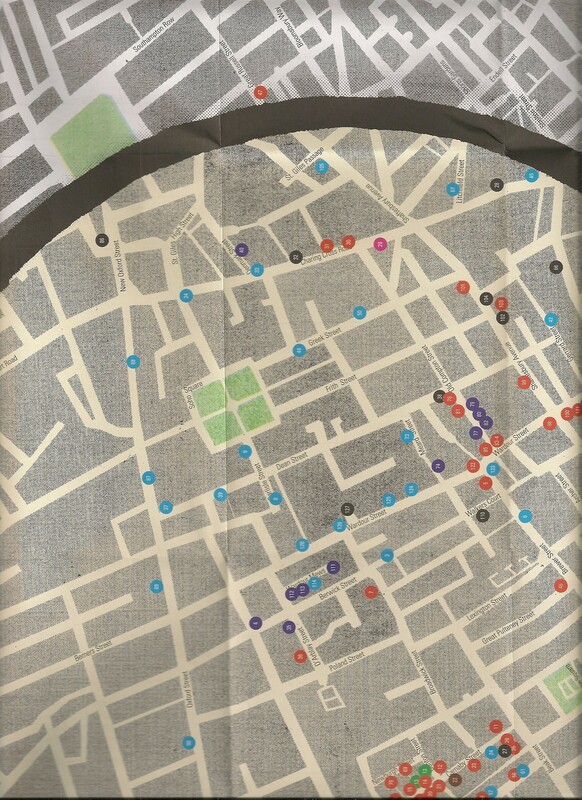 This entry was posted in Art, Books, Counterculture, London, Maps and tagged 1960s London, map, Wish You Were There. Bookmark the permalink. Knowing you love a map, have you seen this? I’m probably the last person in London to know about it but it has a strange madness to it.